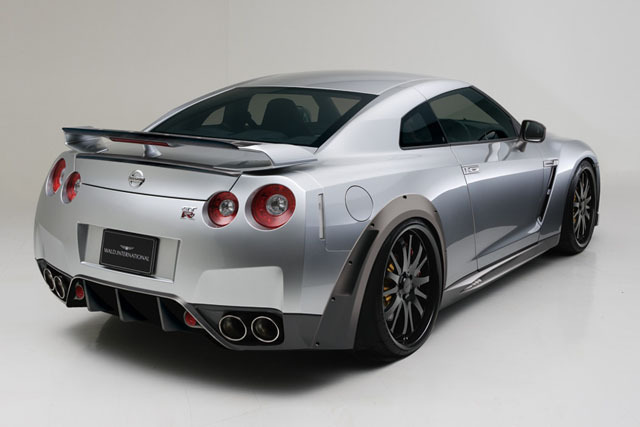 Wald has been busy on the computer and has incorporated styling bits from Ferrari and Mercedes in their newly designed bodykit for the R35 GT-R. 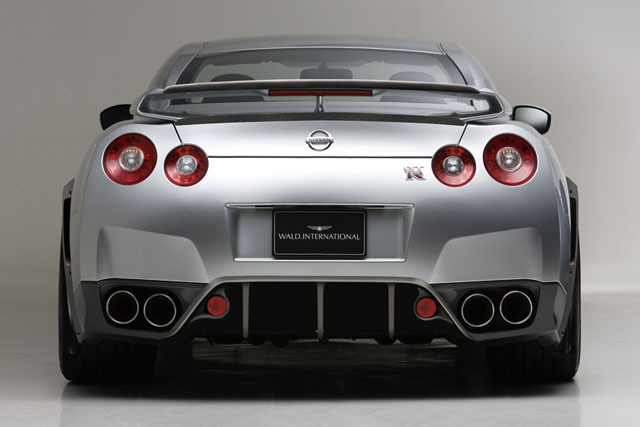 Thanks to CBA-R35, check his blog out in my blogroll. 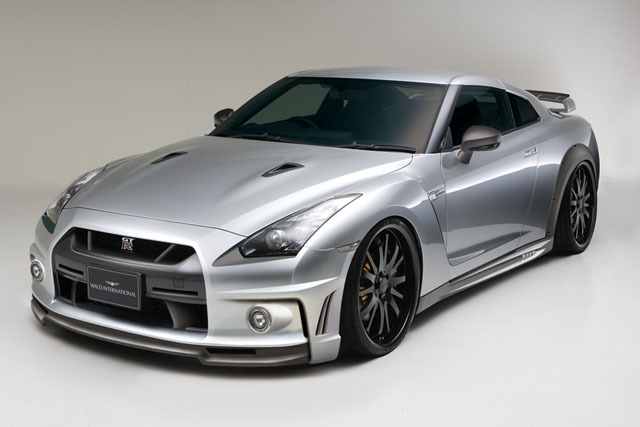 This is the second complete bodykit made for the R35, Harrison was the first. I like the design but It could do without the black fender covers in the rear. Signature wheels from Wald complement the look of the car. Yep I like it. Ferrari style lights incorporated into the rear diffusor.